After a season of expectation, the delicate paper art image of stars bursting across night sky over a small town and nearby hills illustrate the joyous declaration of the Scripture from Isaiah about Jesus's birth. 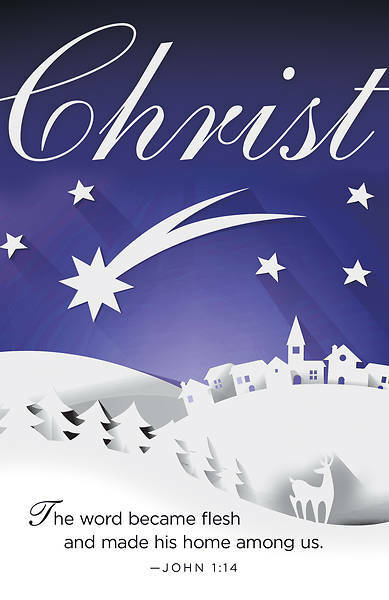 Help your congregation connect more fully with coming of the Christ Child. Bulletin is 8.5" x 11" unfolded and 5.5" x 8.5" folded. 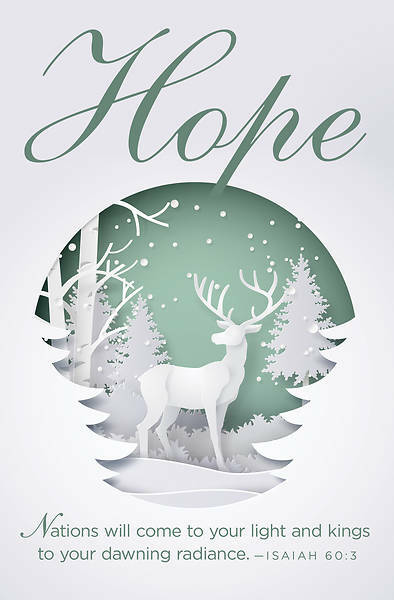 In this season of expectation, the delicate paper art image of a deer standing a snow-covered forest and the Scripture from Isaiah draw on the feelings of hope surrounding Jesus's birth. Help your congregation connect with embrace the anticipation and reflect on that hope during this season leading up to Christmas. Bulletin is 8.5" x 11" unfolded and 5.5" x 8.5" folded. 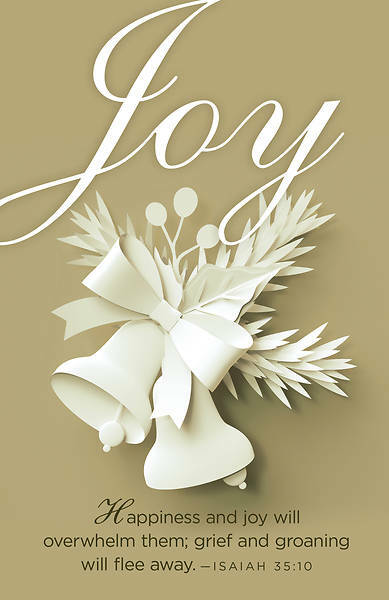 In this season of expectation, the delicate paper art image of bell, holly, and bow, and the Scripture from Isaiah remind us there is joy surrounding Jesus's birth. Help your congregation connect with embrace the anticipation and reflect on that joy during this season leading up to Christmas. Bulletin is 8.5" x 11" unfolded and 5.5" x 8.5" folded. In this season of expectation, the delicate paper art image of a heart and the Scripture from Isaiah draw on the feelings of love surrounding Jesus's birth. 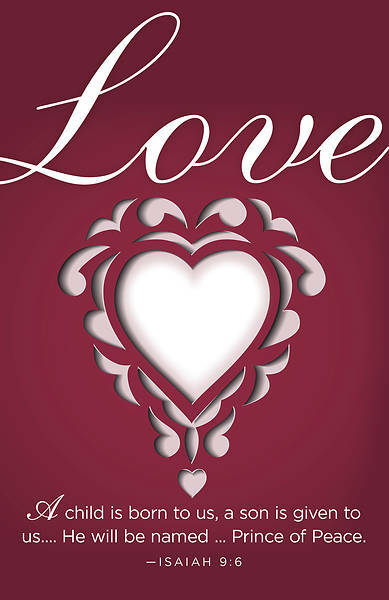 Help your congregation connect with embrace the anticipation and reflect on that love during this season leading up to Christmas. Bulletin is 8.5" x 11" unfolded and 5.5" x 8.5" folded. 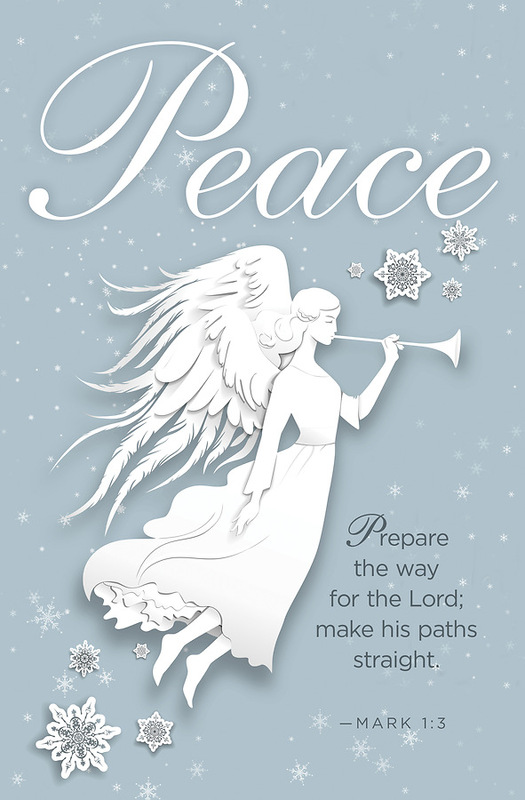 In this season of expectation, the delicate paper art image of the angel and the Scripture from Isaiah draw on the feelings of peace surrounding Jesus's birth. Help your congregation connect with embrace the anticipation and reflect on that peace during this season leading up to Christmas. Bulletin is 8.5" x 11" unfolded and 5.5" x 8.5" folded.